This comprises the information provided by you to us at the time of opening the account with us or registering online with us. The information includes the name, address, phone number, email address and other such information as is required by us from time to time based on regulatory requirement or any other requirement. Transaction details: Information regarding your investments, including balances, positions, and history of transactions available with us. System information: Information about your computer hardware and software including information like your IP address, browser type, domain names, access times and referring Web site addresses etc that may be collected by www.shriraminsight.com. We will protect the Personally Identifiable Information with the same degree of care, but no less than a reasonable degree of care, to prevent the unauthorized use, dissemination, or publication of this information as we protect our own confidential information of a like nature. We would not disclose the personal information to third parties, except under the following circumstances: We may use your personal information to improve our service to you and to keep you updated about our new product or information that may be of interest to you. Your personal information may be used by SISBL and its Affiliates for the purpose of offering you products and/or services that may interest you and help you learn about products and/or services that are offered to the public by SISBL and its Affiliates. We may disclose your personal information to companies that provide support services for processing your application and transactions and such disclosure would be limited to the performance of the specific service we have requested. We may disclose your personal information in limited circumstances where disclosures have to be made under the various regulations of Indian Laws or to any governmental agency or regulatory bodies. As a user of our web site we strive to ensure that any information that personally identifies you or your account information will be treated as confidential. We however, reserve the right to disclose personal information in limited circumstances where we believe in good faith that disclosure is required under the law, to cooperate with law enforcement authorities, to perform necessary credit checks or collect or report debts owed to us and in all other instances that may be reasonably necessary for us to protect our rights or property. Our usage of any personal information is limited to ensuring that your browsing experience on our website is enhanced. We use information in ways that are compatible with the purposes for which we originally requested it. In this process we may share personal information with an agent/partner/affiliate. SISBL will ensure that any party such as an agent or employee to whom it may be necessary to disclose personal information, in turn, respects the confidentiality of such information. We constantly update our security systems to ensure that any confidential information communicated to us remains safe. Provided that nothing contained herein shall be deemed to restrict our right to make available any information as may be procured by us to such a third party as may be consented to by you in writing. We may also ensure that your personal information is protected by confidentiality agreement with third party whenever it is disclosed to a third party, so as to enable such a third party to provide you certain specified services. We ensure that the personal information given to us by you at the time of filling up the application form and the client agreement would be stored in a safe and secure place. We ensure that the personal information on the web is placed in the secured portion of our web-site. We use an advanced 128 bit encryption technology, the Secure Socket Layer (SSL), which is one of the best available technology to ensure that the information transmitted between you and us across the Internet is safe and cannot be accessed by any outsider. SSL has been universally accepted on the World Wide Web for authenticated and encrypted communication between clients and servers. 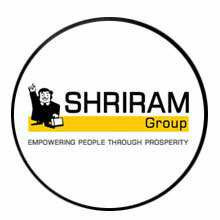 Whenever you close your account(s) with www.shriraminsight.com, all records pertaining to your information would be kept for such period of time as is required by law and/or any other regulatory bodies. Thereafter, the personal details would be removed from our records and would be certified as destroyed within reasonable time. To ensure security of access to the personal information and transaction details, the access to the secured zone of our website is restricted by the unique Login ID and Password selected by you. You should be very careful in handling the ID and Password and you should ensure that you do not reveal it to anybody, nor do you keep it in writing. You should keep changing your password periodically. As a matter of precaution we always give the details of your last login each time you log on to our site. In case you feel that the detail is not matching with your last login profile, it should give you an indication that somebody has been able to crack your login and password and is having unauthorised access to your details. In such circumstance, you should immediately change the password and also inform us about us. To ensure safety of your trading access, our technology automatically logs you out of the site if no activity is registered for 15 minutes. However you should ensure that each time you leave your terminal you log yourself out. This prevents someone else from accessing your account if you leave your computer and your session has not "timed out". We encourage you to review the privacy statements of other Web sites to which links may be provided through www.shriraminsight.com so that you are aware of the privacy policies of these web sites too. We are not responsible for the privacy statements or other content on web sites outside of those of www.shriraminsight.com. We use "cookies" as a fundamental part of our interaction with your internet browser. Our purpose is to provide you a better and more customised service and with a more effective website. These cookies will expire the moment you log off our system and would not be available to any other application trying to access it under any conditions. We will preserve the contents of any e-mail that you send us if we believe that we have a legal requirement to do so. Any personal information in your e-mail including your e-mail address will be used or disclosed in ways set out in this privacy and security statement. Your e-mail message content may be monitored by our internet service provider or Shriram Insight employees for trouble shooting and maintenance purposes or where e-mail abuse is suspected. Shriram Insight regularly reviews the developments in security and encryption technologies. Unfortunately, no data transmission over the internet can be guaranteed as totally secured. Accordingly, although SISBL strives to protect such information, Shriram Insight cannot ensure or warrant the security of any information you transmit to us and you do so at your own risk. Once we receive your transmission we take reasonable steps to preserve the security of the information in our own systems. When Shriram Insight joins with another company to offer or provide products and services, both parties may cross-reference their databases to search for customers in common. This existing information may be used to help identify business alliance opportunities and to enhance the information already contained in the existing databases. Shriram Insight on its own, or jointly with other organizations and Web sites, may offer contests, sweepstakes, and promotions. You may be asked to supply certain personal information to participate in these promotional events, which may then be used by the sponsoring parties for marketing purposes. Even if you have previously opted not to receive information or mailings about Shriram Insight, you may still receive information about Shriram Insight via these promotions if you choose to register for them. Rules and guidelines for each promotion will be clearly posted, as will notification about how the information gathered may be used. You may opt not to participate in these special promotions if you do not want to receive information about Shriram Insight or share your information with all sponsoring parties. Potential customers applying online at www.shriraminsight.com for a trading account have the ability to opt out of the application process before completing it. However, we may use the information gathered on the application form during this process to send you further information about Shriram Insight services and products we believe may be of interest to you. You will be notified of this during the application process. To enable us serve you better, it is necessary that your personal information available with us is updated and accurate. Our web-site enables you to update your personal information at the "Customer Services" section. You can also send us e-mail at helpdesk@shriraminsight.com and we would ensure that your information is updated and protected from any misuse or unauthorised revelation. You acknowledge and accept that your use of the Shriram Insight website indicates your acceptance of the "Shriram Insight Website Disclaimer" and the "Privacy and Security Statement" Shriram Insight may, at any time, vary the privacy and security statement by publishing the varied privacy and security statement on the Shriram Insight Website. You accept that by doing this, SISBL has provided you with sufficient notice of the variation.